Adventuring Into Basketry #1, 1981 | Дай зин! 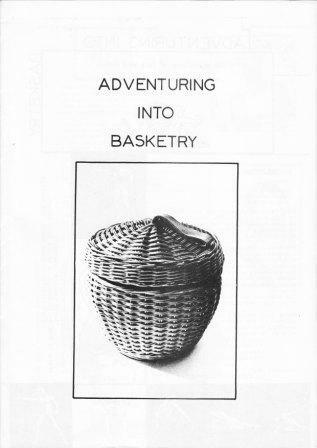 4 Issues of Adventuring Into Basketry were published during 1981/1982 - if it proves popular here I'll post the lot. AIB was a collective effort from Neil Burrows, Andrew Hulme, Ian Rockley and Jon Tait; the title inspired by a Swell Maps song. It's a rather stylish proposition with poetry from J. Tait; interviews with Echo & the Bunnymen, and 23 Jewels; a profile of Swell Maps' Golden Cockrill; LP reviews - Killing Joke, The Red Crayola, The Raincoats, Josef K, and The Flying Lizards; 7" reviews - The Associates, 23 Jewels, The Barry Gray Orchestra, The Monochrome Set, The Red Crayola, Blurt, The Durutti Column, Essential Logic, Virna Lindt, Mari Wilson, Shake Shake, Il Y A Volkswagens, and Visitors; live - Tuxedomoon, Bauhaus/Subway Sect/Birthday Party, The Cure, Iggy Pop. Regular features in the form of Baskets of the Month and Spitfire Parade + a liberal sprinkling of basketry related diagrams.